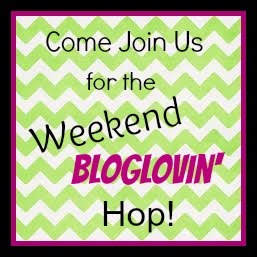 Welcome to the Bloglovin' Blog Hop! We had a great hop last week, so welcome back for week #13! Thank you all for linking up and spreading the word. Our guest host this week is also my feature sponsor Jade from Mama Love Diaries! Welcome her by following her blog and bloglovin'! To link up, please follow the: Host: The Life Of Faith Guest Host: Mama Love Diaries and then go ahead and start linking up! Please make sure you are linking your BLOGLOVIN' account and not just your blog! And don't forget to visit some of the other blogs linked up and make some new friends! !